Anthony Hubert is the Founder and Artistic Director of Rocky Mountain Conservatory Theatre. He is a graduate of The University of Houston, School of Theatre, with a Masters in Fine Arts. Anthony has worked in the mediums of film, television, and the stage, finding particular satisfaction and success in classical theatre. Recognized as a dedicated and gifted teacher, he has taught as a guest artist at The University of Missouri and Pennsylvania State University, and as well, taught as an Assistant Professor at the University of Denver. Anthony has lead numerous professional workshops throughout the nation. Noted for his unflinching dedication in helping young people achieve their highest potential, Anthony was previously the Education Director at The Fort Lauderdale Children's Theatre prior to founding RMCT. Anthony launched the Summer Camp Program with the progressive perspective that Rocky Mountain Conservatory Theatre is committed to being a productive partner in the Denver multicultural and artistic communities. Rocky Mountain Conservatory Theatre is thrilled to announce our new Visiting Director of Special Programs, Mark Olsen. 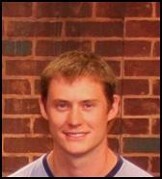 Mark will be working with us to create dynamic programming during the Summer of 2009. Mark is an actor, director, author, and teacher. 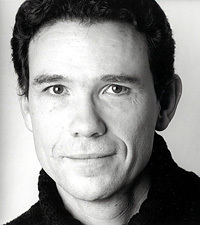 Currently a professor of acting and movement at Juilliard, Sarah Lawrence College, and the Penn State School of Theatre, Mr. Olsen has taught at other notable institutions such as Carnegie Mellon University, University of Houston, Ryerson Theatre School in Toronto and New York Public Theatre’s Shakespeare Lab. Specializing in empowering students to devise original works for stage and screen, Professor Olsen has been a frequent guest director and teacher for Bucknell University, Sarah Lawrence College, Central Connecticut University, Webster Movement Institute, and the National Fight Director’s Workshop for the Society of American Fight Directors (S.A.F.D.). Specializing in empowering students to devise original works for stage and screen, Professor Olsen has been a frequent guest director and teacher for Bucknell University, Sarah Lawrence College, Central Connecticut University, Webster Movement Institute, and the National Fight Director’s Workshop for the Society of American Fight Directors (S.A.F.D.). Professor Olsen has appeared on Broadway and toured Internationally with the famed mime/mask group, Mummenschanz, and acted in numerous regional theatre productions. Professor Olsen has directed over forty-five productions in both professional and university settings and has worked as movement coordinator and fight director for numerous productions at the Houston Shakespeare Festival, Hartford Stage Company, Long Wharf Theatre, Theatreworks, The Alley Theatre, Houston Grand Opera, New York Shakespeare Festival, New York’s Public Theatre, and recently on Broadway. Professor Olsen is a nationally recognized authority on masks, mime, stage movement and stage combat, as well as an A.E.A. actor. Professor Olsen is a certified teacher and former secretary of S.A.F.D. as well as the former vice-president of the Association for Theatre Movement Educators. Professor Olsen has taught his unique approach to theatre and imagination at universities and institutes for over twenty years. Professor Olsen’s exciting approach to acting incorporates classical and contemporary techniques developed through the comprehensive lens of modern acting techniques, Lecoq based movement work, and the Ken Wilber Integral Theory. Books by Professor Olsen include, The Actor with a Thousand Faces, The Golden Buddha Changing Masks and Acting: Scene One, co-authored with Steve Broadnax. 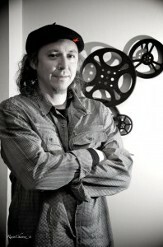 Humberto Adrian Perez is the Film Program director for Rocky Mountain Conservatory Theatre. He has been an educator for sixteen years. Humberto teaches audio/video production and heads John B. Connally High School Digital Den Studios in the Pflugerville school district in the Austin, Texas area. He incorporates digital storytelling, social media, guerilla filmmaking techniques, mobile technology, theatre arts, music, and a wide array of artistic techniques into a project-based and engaging learning experience for his students. Humberto has collaborated on projects with many professional organizations including Mexic-Arte Museum, VSA Texas, De Austin Show, Green Ribbon Schools, and E4 Youth, and Forklift Danceworks. He was a co-founder of the Cinema Du Cannes Project, and worked with high school stidents to produce a short film, FALLEN which was selected into the Short Film Corner at the Cannes Film Fesetival in France. In addition, Humberto founded Revolution Arte Productions, where he continues his work as an indie filmmaker and education advocate. He has over twenty years experience in film and theatre production, and is a highly recognized cinematic professional in the youth arts education community. 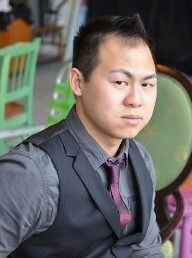 Alex Ngo is a Director and Technical Director at Rocky Mountain Conservatory Theatre since 2008. He is a graduate of the University of Denver, with a double major in theatre and biological sciences. He has taken part in many performances at DU, and is a highly committed person, as well as an artful and enthusuastic instructor of children. Alex builds sets and works with the stage lighting and sound elements for our performances, in addition to instructing classes and camps. Alex is currently working as an actor in Chicago. Along with establishing a theatre company and being involved in multiple ensembles, he recently finished Sita Ram with the world-renowned Looking Glass Theatre Company, as well as performed in Hamlet concentrate, and will soon be performing in a production called Never Swim Alone. He was an integral part of the production of Romeo & Juliet: A Techno Ballet, and regularly travels the country in ventures that further his acting, teaching, and directing career. Max Fabian is a Director at Rocky Mountain Conservatory Theatre. 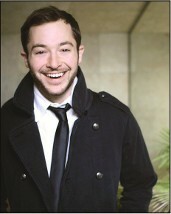 He is a graduate with a BFA from the Theatre Conservatory Program at Roosevelt University in Chicago, Illinois. He spent much of his childhood involved with productions at Fort Lauderdale Children's Theatre, and is a natural at helping with Summer Camp and in guiding children on the stage. Max has worked with RMCT at every summer camp since our inception in 2007. Max is a primary force in the foundation of much original theatre work in Chicago. He has completed professional works in the past several years since his graduation in the arenas of stage, film, television, commercial, and experimental. Theatre companies he has worked with in Chicago include the LookingGlass Theatre Company (recipient of Tony Award), The Hypocrites, Next, The Chicago Symphony Orchestra, and many others. Max completed specialty training in stage combat in Toronto, Canada and holds certification with Fight Directors Canada and the Society of American Fight Directors. He keeps busy creating and performing original material with his own organization, Inappropriate Theatre Company, in works that have included Sita Ram, Iphigenia 2.0, and Pulcinello. Serving as the Executive Administrator for Rocky Mountain Conservatory Theatre since its inception in 2007, Jamie continues to expand the organization’s programming reach and educational initiatives. She develops long-standing partnership and outreach relationships that result in a vibrant student enrollment and local event patronage. Jamie came to RMCT from Keyboards for Kids, where she was the Vice President of Operations. She enjoys collaborating with artists, students, directors, and business leaders toward perpetuating the success of RMCT’s unique training process. Jamie believes that a thriving cultural sector, especially in the youth arena, is essential as a catalyst to building healthy communities that include creative people and facilitates higher-quality education. Jamie works with programs in all three RMCT locations, and is happy to assist and answer any questions from parents or students regarding summer camps, classes, auditions, enrollment, shows, and anything else, and hopes to make your relationship with Rocky Mountain Conservatory Theatre the most postitive performing arts enrichment experience you could have imagined. Samuel Garvin an Instructor and Musicall Director at Rocky Mountain Conservatory Theatre. He is a profession actor who has performed in Theatre and Film in multiple states. Sam accepted a competitive position at Florida State University's Aoslo Conservatory Theatre and attended a rigorous three-year graduate program culminating in a Master in Fine Arts Degree. His most notable work includes Jesus in Jesus Christ Superstar, Danny Zuko in Grease, Marius in Les Miserables concert, Cinderella’s Prince/ Wolf in Into The Woods,and Hyde in Jekyll and Hyde. Notable Television includes one National Football League (NFL) commercial, and a Host in Civil War Documentary for The History channel. In addition to his Theatre and Film work, he has performed at Disney World, and traveled the state of Florida with a traveling Cabaret group. He is currently working with students in advanced vocal technique, and RMCT is thrilled to add his array of training skills to our teaching ensemble. Kasey Alfonso is the musical and choreography director with Rocky Mountain Conservatory Theatre, and her vibrant take on teaching children and teens to sing and dance shows in their quick and gleeful attainment of theatrical skills as a resulf of her flexible working methods. She has had the great pleasure of performing in Chicago since graduating from the Chicago College of Performing Arts in 2012. She has worked with the Court Theatre (Iphigenia in Aulis), the Paramount Theatre (In the Heights, Rent), Chicago Shakespeare (Seussical), Lookingglass Theatre (Sita Ram), Theo Ubique Cabaret Theatre (Smokey Joe's Cafe), Kokandy Productions (The Full Monty), Bailiwick Chicago (Carrie), and Inappropriate Theatre Company (La Chingada, R&J: A Techno Ballet). Her choreography credits include R&J: A Techno Ballet (Choreographer) and The Full Monty (Asst. Choreographer). She also recently started in the webseries The Adventures of Jacketman. In the fall, she will appear in The Revels with The House Theatre. Kasey will continue to be an integral presence in RMCT's Naperville location, and will also travel to our other venues to assist with seasonal programming opportunities. Bernard Balbot has joined the Illinois branch of Rocky Mountain Conservatory Theatre, and is thrilled to have spent his first summer with us directing Sondheim. His teaching artist/educational directing credits include work with Utah Shakespearean Festival, Berkeley Playhouse, Milwaukee Rep, The Fay School in Southborough, Mass, and Camp White Pine in Ontario, Canada. He has led multiple summer theater programs in the past, adapted and directed abridged musicals for students, and aided in developing an annual ‘Arts in the Park’ festival that integrates both visual and performance mediums for students. Bernard graduated from the Carnegie Mellon University School of Drama and NTI’s Moscow Art Theater Semester. He is a proud member of Actor’s Equity Association. RMCT is proud to now have Bernard as a part of our team. Christina Jolie Breza is an Instructor and Musical Director Rocky Mountain, and she could not be more thrilled to work with these amazing kids year after year! Her enthusiastic attitude shows in her love of teaching on stage, dance, and helping with costumes and make up, then seeing it all come together in the end like magic! She is a wonderful asset to RMCT, and we are lucky to have her with us each summer sharing all she knows with the our students. She has been trained extensively in all mediums of performance art, and is successfully working in her dream field. Christina is currently living and working as a professional actor in the Big Apple, NYC, but always loves to come back to her hometown in South Florida! Christina enjoys any opportunity to work on stage, and is always thankful to see the culmination of the students; work in the phenomenal magic that ensues! Nori Tecosky is an Instructor and Musical Director at Rocky Mountain Conservatory Theatre. 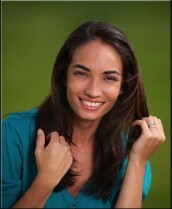 She is a professional actor and native South Floridian. Nori studied acting and musical theatre throughout grade school and then moved to New York to pursue her career and continue training in intensive workshops. Since returning to South Florida, she has worked on several films and web series, and started her own professional non-profit theater company, Outré Theatre Company. She also starred in the premiere productions of two of South Florida's newest companies, Crashbox Theatre and Kutumba Theatre Project. Nori has a passion for extending the training that she has received to even the youngest of new performers. 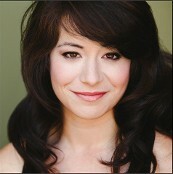 Meridith Grundei is a serves as a new Co-Director and Specialty Staff member with Rocky Mountain Conservatory Theatre. Meridith is an award winning performer and holds an M.F.A. in Contemporary Performance from Naropa University in Boulder, CO. Prior to moving to Colorado, Meridith worked as Associate Faculty for The Second City Training Center in Chicago, IL where she was instrumental in the development of the children’s program and the teacher re-certification program. In 2007, Meridith started the Eliot Street Collective in Denver, CO as a studio space where artists of all walks could have a space to collaborate and create community. As a Media Agent, Meridith worked for Maximum Talent Agency in Denver, CO, where she worked with talent and casting directors to place actors in commercials, film and voice over within the Denver and New Mexico markets. 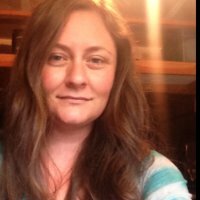 Currently, she owns a presentations and media training business called Red Ball Communications, is adjunct faculty at Naropa University in Boulder, CO where she teaches Improvisational Theatre, and is a private coach to a variety of professionals who are actors and public speakers. As an actor, Meridith has performed with companies such as the American Conservatory Theatre, iO Chicago, Baby Wants Candy, Sprung Movement Theatre, The Evergreen Players, square product theatre, WreckingBall Theater Lab, Playback Theatre West, and many others. Meridith travels nationally and internationally utilizing her skills as a trained actor to facilitate workshops that heighten trust, listening and communication within corporate teams. Meridith presently lives near Boulder, Colorado with her husband and step-daughter. 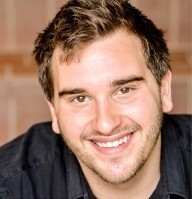 Nyle Kenning is a vocal and choreography coach with Rocky Mountain Conservatory Theatre. A constant presence at RMCT youth programming, Nyle is an invaluable resource for the direction of musical theatre. Nyle is a graduate of the University of Denver, and was raised in Telluride. 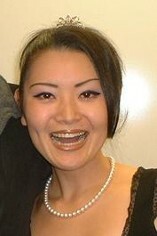 Fumie Murase is a specialty staff member at Rocky Mountain Conservatory Theatre, where she is a piano accompanist. She is a graduate of Nagoya University of Arts, in Japan, and holds a B.A. in piano performance. Fumie works closely to further her training with DU Lamont School of Music Professor Alice Rybak. Fumie has many years experience teaching private piano lessons to students of all ages, and is a tremendous asset to our live performances. 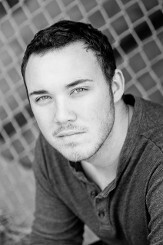 Ricky Al is the Lead Choreography Instructor with Rocky Mountain Conservatory Theatre. Ricky is a student at the University of Denver. He teaches RMCT's Hip-Hop classes, and is a wonderful and energetic coach of kids in the movement arts. 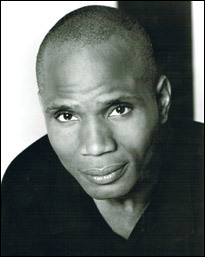 He has performed with Broadway Dance Center and Motion Underground. He also had the privilege of being a part of the Red Bull Beat Riders 2006 Urban Dance Experience, where only 30 international hip-hop dancers were accepted to train. Ricky has traveled around the world to explore and train in hip-hop methods, to places including Japan, Canada and the Middle East. David Russell is a stage manager at Rocky Mountain Conservatory Theatre. David is also an actor with the experience of many major productions, several of them as a cast member at Denver's Curious Theatre. Has experience creating original stage works of art. David is a talanted and creative set designer. Vanessa Brenengen is an assistant instructor at Rocky Mountain Conservatory Theatre. She is a graduate of the University of Denver, with a double major in theatre and political science. Throughout her schooling at DU, she performed in and worked on many shows. She is a very talented student of the stage, and is a wonderful teacher of young actors. Catherine Chengery is a graduate of the University of Denver, with a major in Theatre with a Spanish and Business minor. She has been involved both on and off the DU stage working on costumes, sets, lighting, sound and of course performance. Prior to DU Catherine acted in various roles with Horizon High School Theatre Department, many and other local community theatres. She is thrilled to have the opportunity to work for RMCT and watch the children progress into strong actors as well as young adults. 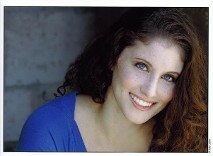 Favorite roles include Alexa Vere de Vere- As Bees in Honey Drown, Erma-Anything Goes, Queenie- Honk! “There are no small parts, only small actors”- Stanislavsky.